We are proud to announce that Zhongqi Shi, Senior Lecturer in Chinese, has been invited to present his paper Student-teacher Goal Alignment: Conceptualizing, Measuring, and Determining Its Effect on Interaction and Motivation at the 2019 Annual Meeting of the American Educational Research Association (AERA), a national research society that strives to advance knowledge about education and promote the use of research to improve education and serve the public good. AERA’s Annual Meeting is the largest gathering of education researchers in the world, attended each year by more than 14,000 AERA members, scholars, policy experts, and practitioners. 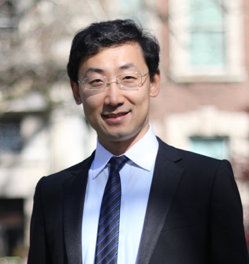 The department extends a hearty congratulations to Dr. Shi and looks forward to his contributions to the conference and the academic community at large.